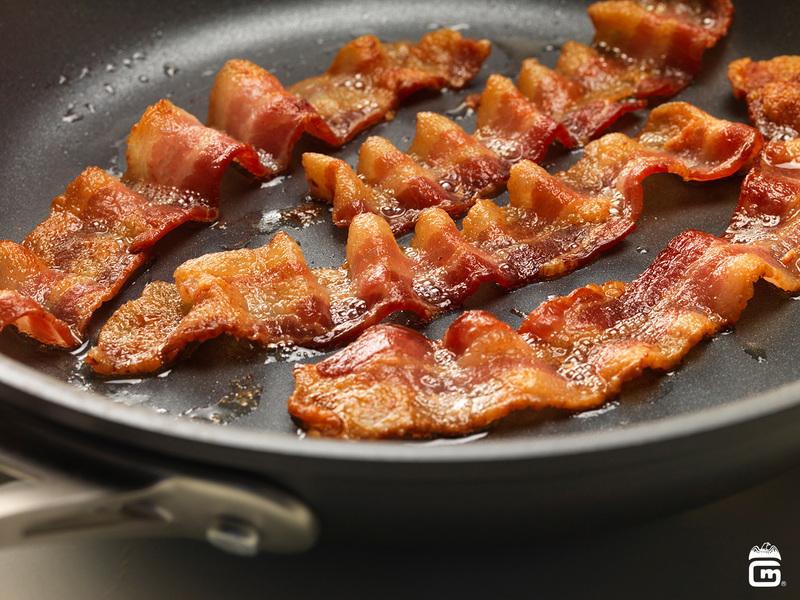 Bacon is one food most meat enthusiasts love to eat. Whether it be on a burger, with a plate of eggs, or just strips by itself, bacon has proven itself as a very versatile and delicious, food. Last year, as a Freshman, I worked at Irvings Bagels downtown. You may have heard of it, they have very good food there. With some of our sandwiches, we add a few strips of bacon. One time while I was working, I added on a strip of bacon to a sandwich, and my coworker told me “Did you know bacon is now classified as a carcinogen?” And to that, I replied, “There’s no way that is true.” Now being in this course, I am revisiting the hypothesis of whether or not bacon does cause cancer. 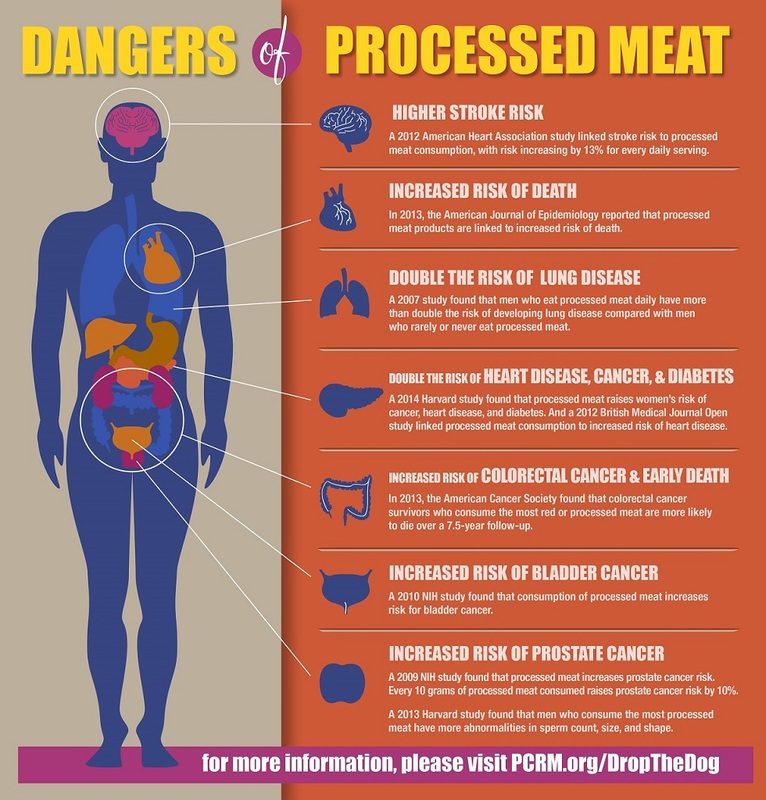 An article published by PCRM (Physicians Community for Responsible Medicine) said that according to the American Institute for Cancer Research, eating 1.7 ounces of processed meat (or greater than that value) can increase the chances of getting cancer by about 21%. 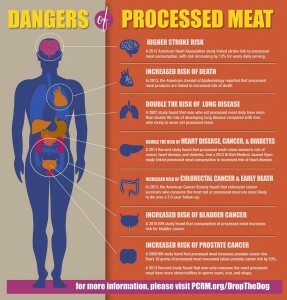 In addition to cancer, processed meats can come with a lot of other health risks. The article mentions a study that was conducted that came to the conclusion that processed red meat was correlated to a 10% increase in prostate cancer. Is all of this due to chance? In any given experiment, the results could always be due to chance. Confounding variables can also point to an answer as well. For example, the increase in cancer could be due to genetics, or exposure to other carcinogens— like smoking. Business Insider actually does mention a few confounding variables in their article about the subject, but just for a brief moment. Business Insider does bring up an excellent point though. The article says that about 1 million deaths are the result of smoking tobacco, while only 34,000 deaths are the result of eating red meat. While both numbers are high, it’s obvious smoking is worse for you. According to an article written by NPR, a study published by Archives of Internal Medicine claims that eating red meat (like bacon) can increase risk of cancer. The study came to this conclusion by noting that people who ate one serving of red meat had a mortality increase of 13%, whereas people who did not consume red meat had no mortality increase. The article points out another possible confounding variable— iron. It may seem like a weird third variable that can attribute to cancer, but it makes sense. When certain red meats with iron gets digested, it can turn nitrates in the body into carcinogens. According to Wired.com, smoking is worse than eating red meat, and by a whole lot too. While bacon causes a person’s risk of acquiring cancer to increase by 18%, smoking causes a person’s risk of getting cancer to a whopping 2,500%! In other words, eating a little bit of bacon here and there will not kill you. Should you stop eating red meat? According to Yahoo! Health, dietitian Jessica Cording says that eating red meat once in a while will not kill you, and that you should not panic about eating one slice of bacon here and there. She does advise not to make eating red meat a part of your weekly routine because, just like smoking, the health risks will snowball and keep piling up until it does get dangerous. So, with any food, watch what you eat and don’t make anything into a habit— forming habits with anything can be dangerous! Be cautious, but not too concerned. One slice of bacon, or a sausage once in a while will not kill you. Go and enjoy the food that you love, but always have the reminder to be aware of what you are putting into your body. This entry was posted in Uncategorized on October 17, 2016 by Christina Rae Locurto. Let me tell you something… if it was actually proven that bacon gave cancer that would not stop me in the least from still eating absurd amounts of bacon. Bacon since I was little has been a huge part in my life. If I told you I eat bacon at lest 4 times a week that would be an understatement. If there is bacon in my proximity theres a very very good chance that I’m going to eat it. Bacon in the morning to me is like showering. Its something you have to do and often. I do agree that smoking does cause an increase in cancer and don’t condone smoking at all. I think that it is a disgusting habit and doesn’t benefit in any way short term or long term. As someone who does not personally like the taste of red meat, I do every so often get a bagel with bacon and egg on it because it is delicious. I am not concerned with my own health regarding this particular food. However, one of my best friends should definitely have a look at your blog post. She has worked bacon into her normal everyday diet. It worries me that she has developed such a love for bacon and has a family history of cancer. I wonder if there is an alternative to eating bacon. Would turkey bacon be considered less of a cancer threat or is it all types of bacon in general? For those who do not eat red meat, like myself, is relying on chicken an acceptable source of protein that does not run the risk of increasing cancer risks? Thanks for the information, I will be sharing it with my friend!